Wide, fast and prime. No, this is not a description of how I like my meat or my women. 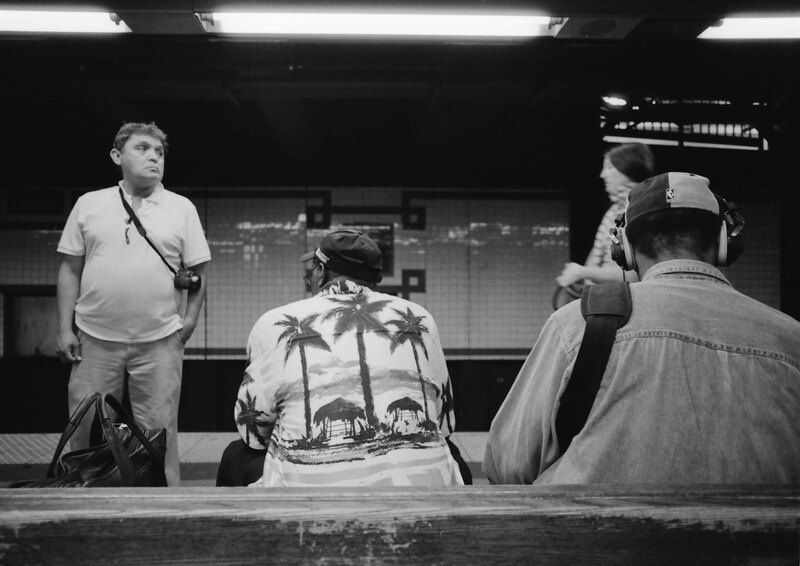 These are the characteristics of the proper lens choice for subway work. Why fast? The subway is dark! Lenses that cannot open up wider than f/3.5 will have limited use (unless shooting very high iso). So go for something that can go to f2 or faster! Why wide? The subway is cramped! I have tried working with a fast 50mm but it’s no dice, there just isn’t enough space to move and position yourself. This may work for shooting in the subway station as there is a long corridor, but typically not for the subway train car. I have also shot with a 135mm on a train car and while there can be good results, the zoom of the lens is too limiting to take advantage of all of the different available situations you will find yourself in. I have a sweet tooth for sweet spots. And the sweet spot (in my humble and sugary opinion) are for prime lenses between 21 and 35mm focal lengths. This really gives you the range between classic portrait lenses on the long end and super-wide lenses on the short end. 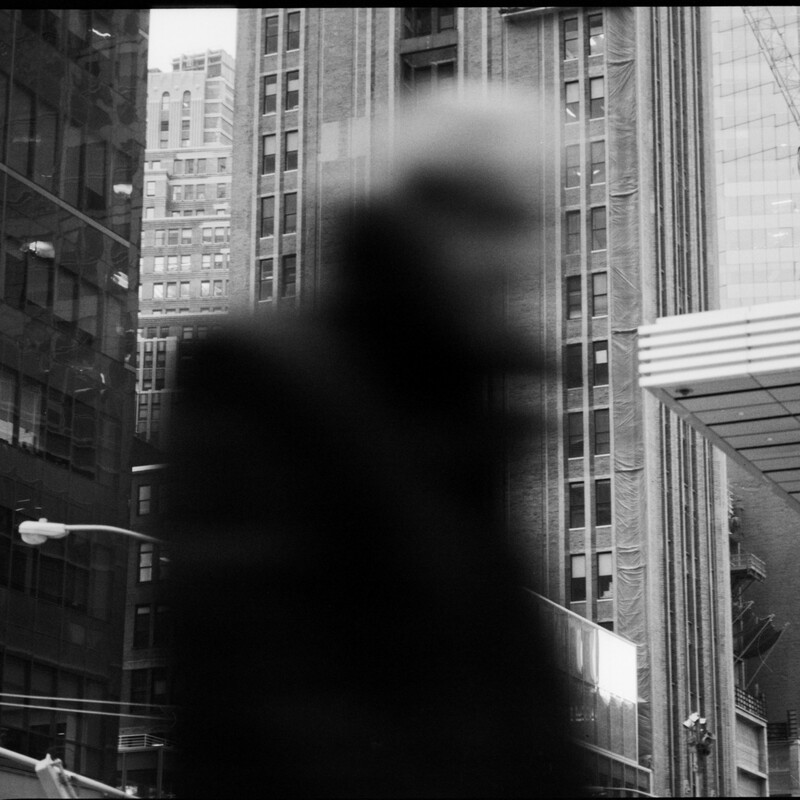 A good 35mm lens is really nice to have (even beyond subway shooting). But for portraits on the subway, I consider it perfect. On the wide end, 21mm is wide enough to capture a lot of information. One further point about going wider than 40mm or 50mm is that you can’t shoot from the hip (if you don’t understand why, that will be explained soon my curious friends). Why prime? In a word – simplicity. Zooms offer you too many options. We need to be focusing on things besides the camera! We need to look at the lighting and the composition! Then when all of those things align, the camera just becomes a part of us. The more options/settings/extraneous nonsense you have to worry about the less you can connect with your camera. And connecting with your picture maker, is an important thing. There are lots of kinds of equipment that you can get intimate with (and they don’t all have to be in the “adult” category). Camera equipment has such wonderful history and can be such great mechanical pieces of art that intimacy feels natural only after spending a few weeks of shooting. This is why staying with one body and one prime lens is so great. The satisfaction you get from that connection between man and a properly wielded tool is something to behold! The sound of that clunky springy shutter, the solid metal feel of the body, the dim, dusty viewfinder and simple spot meter… I wouldn’t trade it for the world (to say the least one of those crappy plastic digital cameras). So go on, work with one camera and one lens (preferably fast, wide and prime). You guys are a match made in heaven! While I think that the rules I talk about in the above post have their strengths, they should not always be followed 100%! Feel free to break all of my rules! Hi! 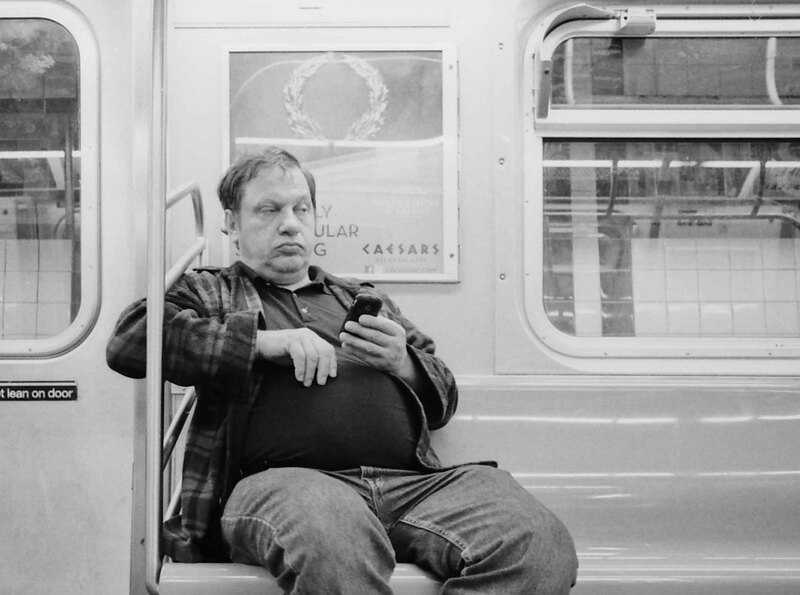 I’ll be travelling to nyc this summer and I’ve been really giving a thought to subway pictures and them not being compatible with my 50mm. So my question is, are all the photos shown above made with a 21mm? What do you think about the 35mm? Also, any recommendations about lenses and ny? (I mean, which lenses would you recommend me to use during my trip?) Thanks. Wow, I really am slacking here! Sorry for the delay in the reply! 1) Are all the above photos taken with the 21mm? 2) What do I think about 35mm? I think it’s fantastic. One of my favorite focal lengths. There’s a balance between wide angle and portraiture lenses that needs to be struck and this strikes it very well. 3) Any recommendations about lenses and NY? It depends on what you want to shoot. Shooting is a challenge. Do you want to challenge yourself to get good wide angle shots or challenge yourself to get good portraiture/telephoto shots? They can both be used in NYC. A lot of purists like longer focal lengths and they say it’s “harder”. One of the reasons for this is that wide angle is obscenely popular these days. I think they both have unique characteristics that change the photo and are useful in different situations. 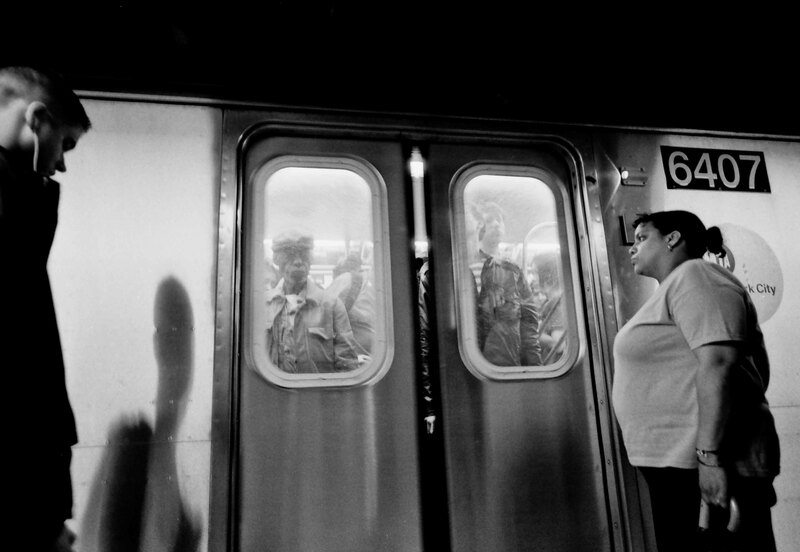 If you are shooting in the subway, I’d go for 35mm or wider (its too cramped). If you are in the streets I’d go for 35mm or longer. It just depends. I’d rarely go above 50mm but hey, if you’re good you could make awesome photos with 85mm. Let me know if you want other tips!